Oh wow, do I have some stunning information about healing on all levels today! Our communication breakdowns are coloured by our childhood wounds. The employee who feels his work has been unfairly judged by his boss is probably subconsciously seeing the situation as a carbon copy of the way his mother/father would always find fault with him. There is enormous potential for growth in conflict – if we take responsibility for our own reactions. Every experience which causes a painful reaction must make us look deeper. Ask questions about the REAL issue and where it originated from. Our reactions are always from a subconscious place where hurt accumulated. Your subconscious is feeding you with sabotaging beliefs which will keep on creating unhappy life experiences. 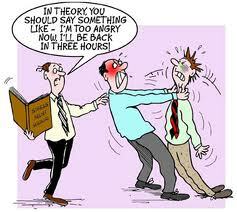 "When emotions are running high in a conflict situation, practice Voice Matching. Voice Matching is deliberately lowering your voice. The other person will automatically lower theirs and this will decrease the tension" says executive coach Elsabe Manning in her book: "Up The Corporate Ladder: Professionalism In The Workplace"
Talk from your heart. When love is our goal, healing of all conflict becomes possible. "If you begin to evolve spiritually, at a certain point you awaken to a crucial moral issue. You discover an inner compulsion to live for a higher purpose and to actually to do it in public. This is quite a radical stance to take in the midst of postmodern culture. Spirituality is seen by most as a very personal, private matter. Rebelling against the outdated customs of traditional religion, many of us have declared we no longer want to be part of some organized, moral teaching from on high that tells us how to live. Often spirituality is a seen as a private, secret path and it's not something we talk about in public because it's not something that a culture that champions materialism and self-absorption gives much validity to. Evolutionary spirituality, however, is another step forward. In an evolutionary context we live our spiritual lives in public, because we have realized that our development is not a personal matter. If we are interested in the future, it's not about me; it's about we. Evolutionary spirituality is about where we are going. So now, instead of the personal, private, interior path of the lone individual, spiritual development becomes something we practice in public, because it's about creating the future for all of us." There's something going on in your body, something you were born with. It's something very old and something ancient, and it is starting to reawaken. A shift is going on within the planet. It's the shift the Mayans spoke of, it's a potential for consciousness awakening - the ability to vibrate higher in human thought than you have ever done before. And it concerns your DNA. 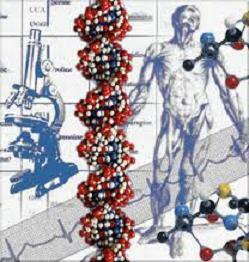 DNA works this way: There's a strong duality present. That is to say, there is a part that islinearand a part that is multidimensional. The multidimensional part is most of your DNA,and is complex and difficult to teach about. Your Akashic Record is in there - that is, an energetic informational package of the lifetimes you've ever lived are in there. The Higher-Selfis in there. All that you call spiritual is in there. 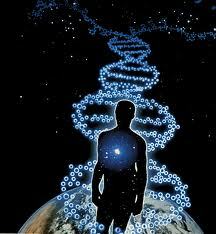 DNA is spiritually intelligent, but not unless you're vibrating at a high level that will allow it to work fully. This is why most of humanity is only aware of the 3% of DNA, not giving credibility to the other part at all. Let me explain a little bit about Layer Nine (the healing layer) and a little bit about the two-part scenario of healing within the Human body and of the incredible self-diagnostics available within the DNA. These are energetic informational transfers to the multidimensional smart parts of DNA. They help to let the body heal itself with its own instruction sets to its own chemistry, instead of blasting it with outside chemistry as though the body was ignorant and needed help. I want you to get this clear. There are several attributes of communication possible to the 90% percent of DNA (the quantum part). The strongest is Human consciousness and will become the most effective when Humans can remove themselves from a 3D construct. Many have, and do! Energy work is the next strongest tool." What are energetic tools of healing? Are we already using some? Do some energy re-alignment for yourself. I have done this work with Julie Umpelby when she visited South Africa and I highly recommend it. Align with your Diamond Energy body. Increase your vibration the easy way - through JOY!